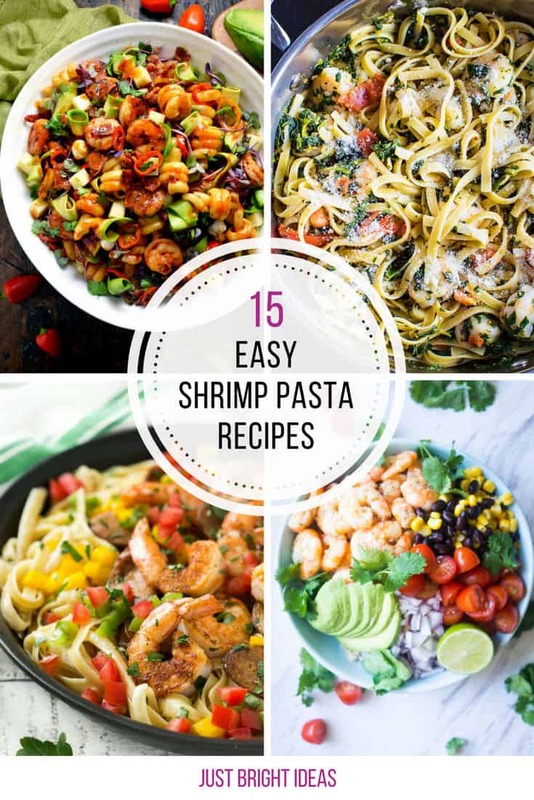 Home > Recipes + Food > Easy Family Dinner Ideas > 15 Easy Shrimp Pasta Recipes You Need to Feed Your Family! 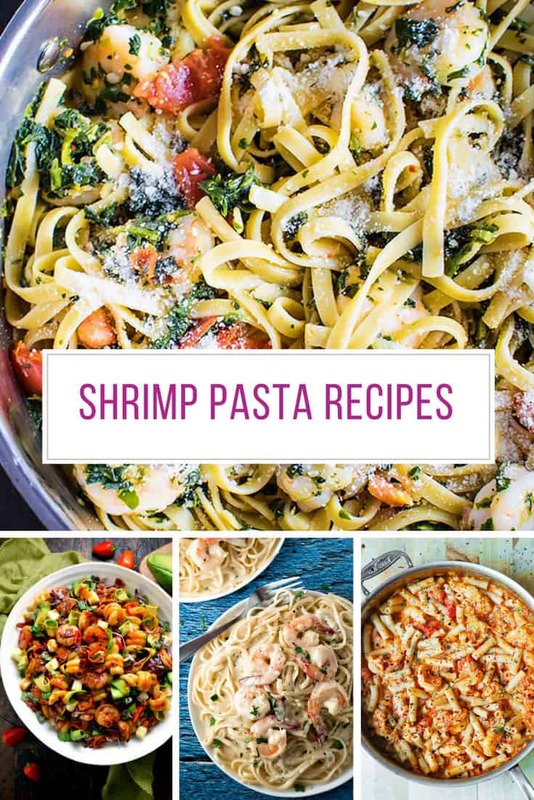 If you’ve ever wanted to try making seafood dishes at home then these simple shrimp pasta recipes are a great place to start. Somewhere in this list is the recipe your family will declare the best shrimp pasta recipe ever! Just take a look through and decide which one (or two or three) you want to make this summer. 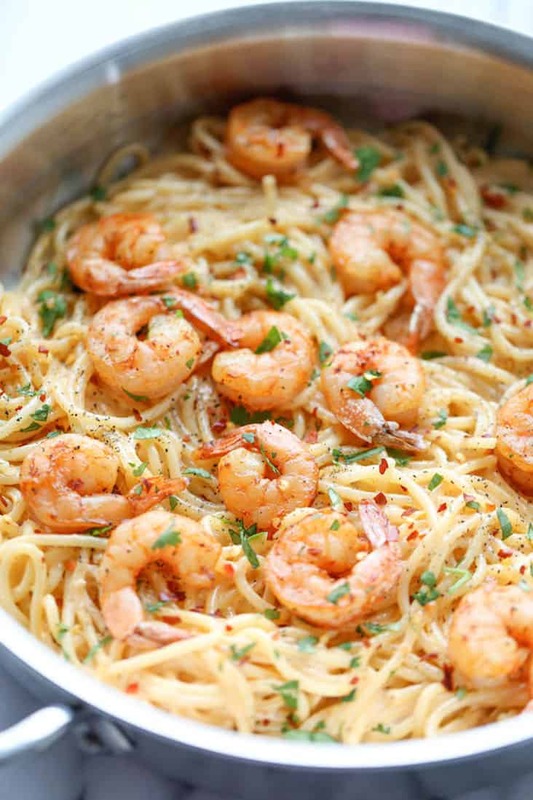 Let’s start our collection with some deliciously spicy shrimp pasta recipes. If you are just a little bit obsessed with Bang Bang sauce you need to check out this delicious Bang Bang Shrimp Pasta recipe. It takes less than 30 minutes to prepare and cook so it’s the perfect midweek meal! 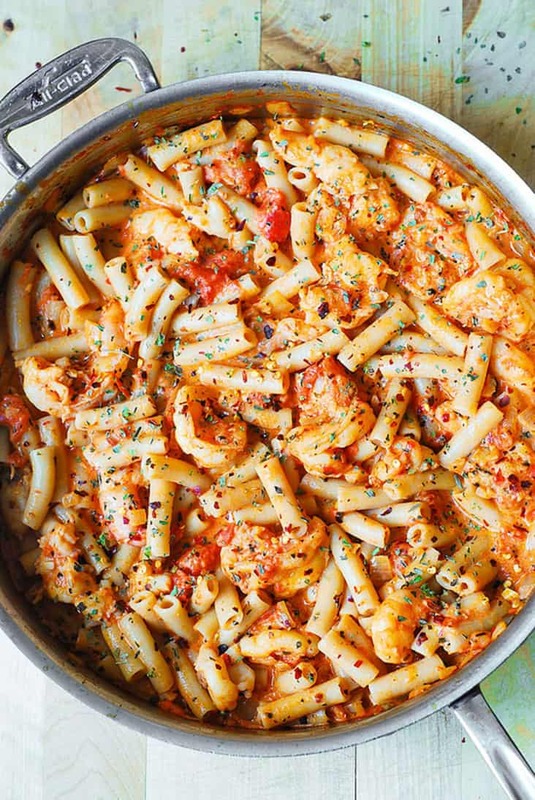 This Spicy Shrimp Pasta in Garlic Tomato Cream Sauce is a fabulous spicy and creamy shrimp combo! If you have a gluten intolerance then you will be pleased to know that this recipe can be made with Tinkyada brown rice penne pasta. 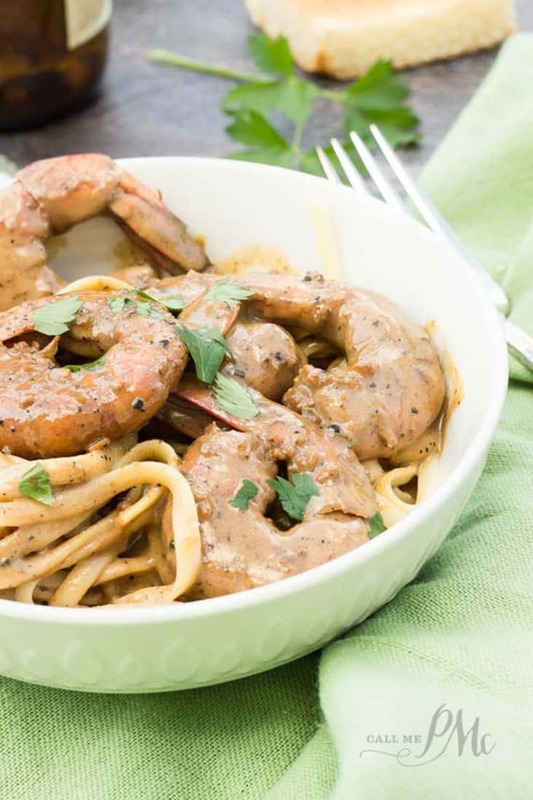 Paula describes her New Orleans Barbecue Shrimp Pasta recipe as “Simple. Full of Flavour. Impressive” which pretty much sums it up! The spice in this recipe comes courtesy of Worcestershire sauce and it’s so decadent you won’t even want dessert! 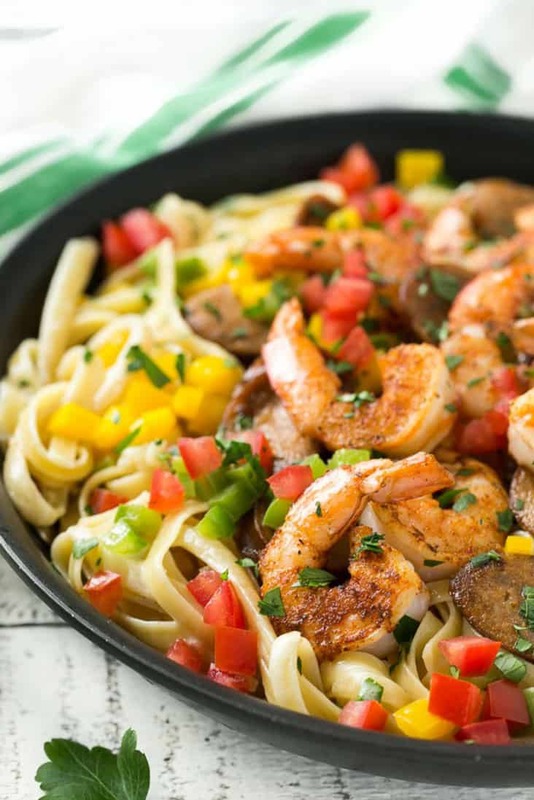 If you love the tastes of the south you won’t want to miss out on these cajun shrimp pasta recipes! 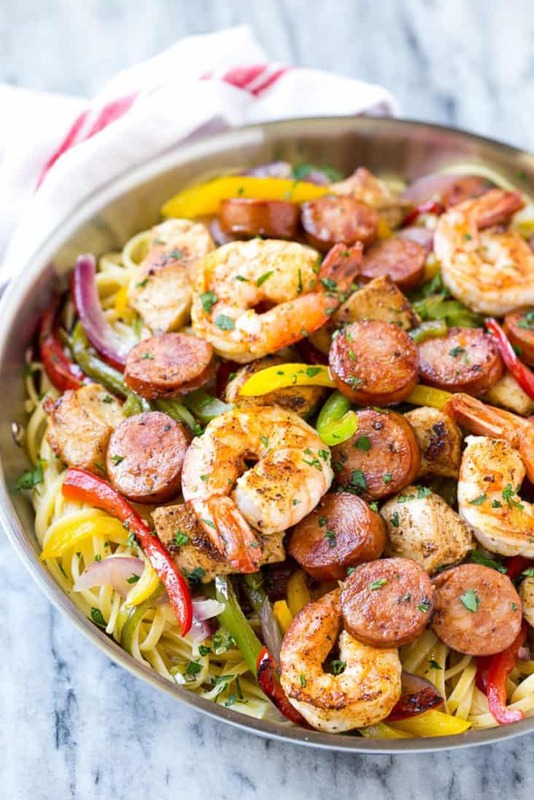 If you do a lot of entertaining during the summer months you are going to love this Cajun Jambalaya Pasta recipe because paired with a white wine it’s an easy but elegant meal you can serve to your guests, and it doesn’t require you to spend hours in a baking hot kitchen! Hot and sweaty is not a good look when you’re entertaining right! Do you grow your own veggies? If so then don’t miss this delicious Cajun Shrimp Pasta that will show all your brightly coloured vegetables off to their best. Of course if you prefer to buy your veggies from the store or the local farmer’s market this will still taste yummy! If your kids love sausage and pasta dishes this is the recipe for you to try and expand their horizons a little! 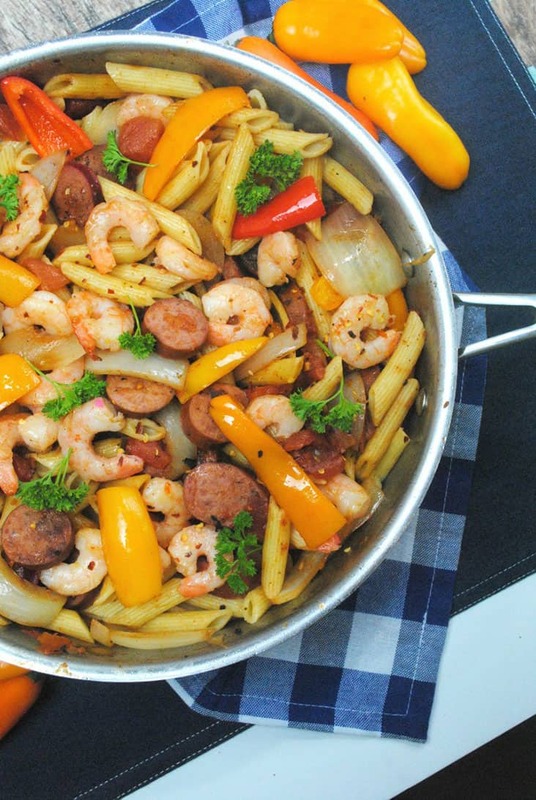 This Cajun Shrimp and Sausage Pasta uses smoked turkey kielbasa sausage, but if your family prefers their pasta hot and spicy you can use Andouille instead. Next PostNext 12 Beauty Boosting Superfoods You Need to Start Eating!